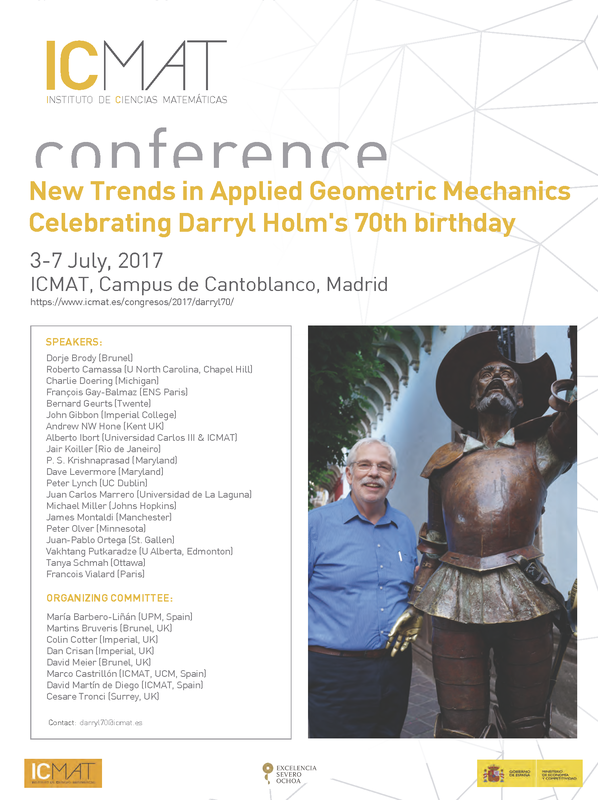 This will be an interdisciplinary conference on applied geometric mechanics to coincide with Darryl Holm’s 70th birthday. Geometric mechanics was first developed by Arnold, Smale, Marsden and Weinstein and has found applications in areas ranging from multi-scale fluid modelling to image registration. 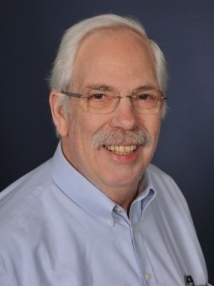 Many of these applications were developed by D. Holm over 35 years at Los Alamos National Laboratory and over the last 10 years at Imperial College London. D. Holm has had a lasting influence on geometric mechanics and helped establish it as a research area of its own. 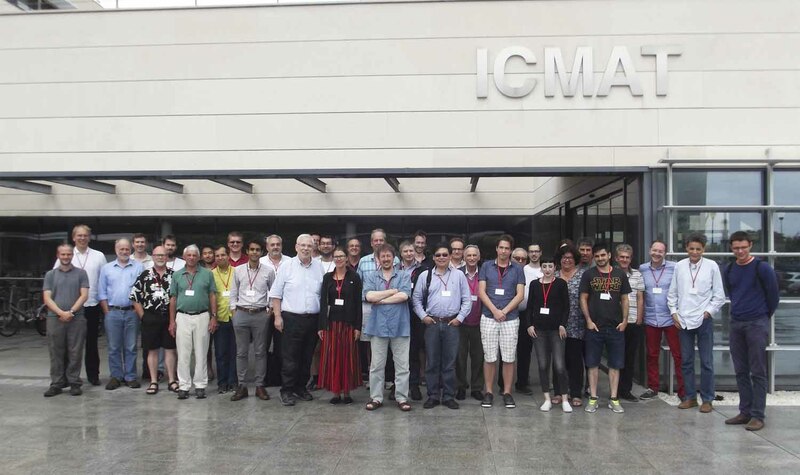 The proposed meeting aims to bring together experts in geometric mechanics and its applications to identify open problems and promising new research directions in the field. 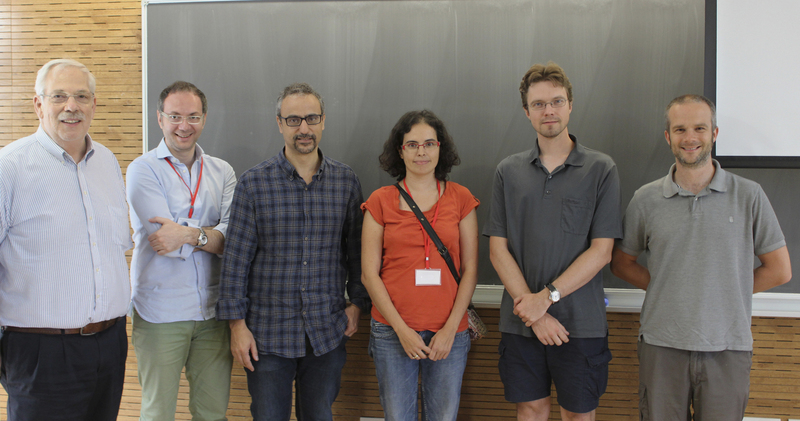 A special issue of the Journal of Geometric Mechanics will be dedicated to this conference. All the participants are welcome to submit their contribution. The works will have original content and will undergo the standard referee process. No review papers will be accepted. More detailed information about deadlines will be provided during the Conference."